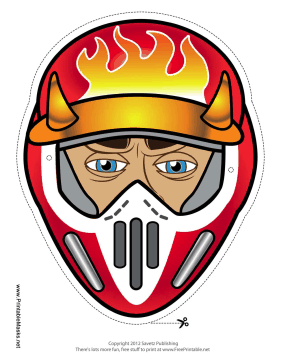 This male motocross mask has blue eyes peering out below the flames on its helmet and horns on its visor. Wearing this mask may inspire daredevil activities, so watch out! This mask is free to download and print.